Adorable Tracey! Love that you added the hat. This is so fun! Love the combination of patterns ! So very cute, especially the hat. And, what a great way to use all those patterned papers. Love those papers and that sweet little hat! 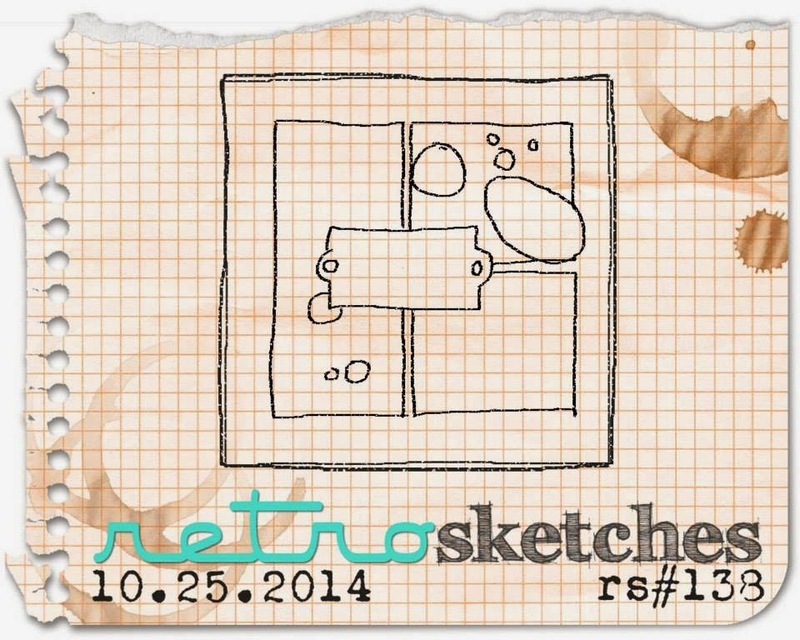 What an adorable Halloween card. 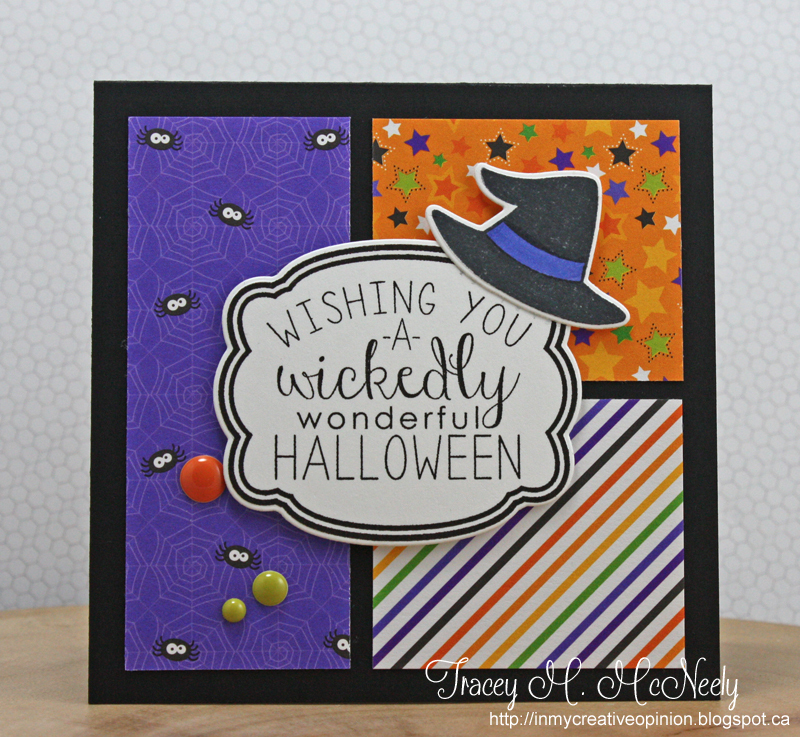 Such a fun Halloween card, Tracey! 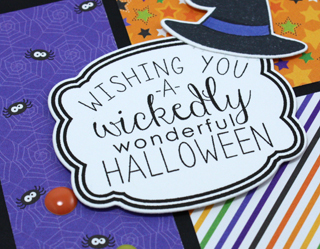 I love all these pretty patterned papers and how you hung the witch's hat...so clever! Super cute and absolutely delightful! love, love, love your use of papers, so well done Missy!